Colander for washing & draining. Colander fits right inside the bowl, allowing excess water to continually drain. 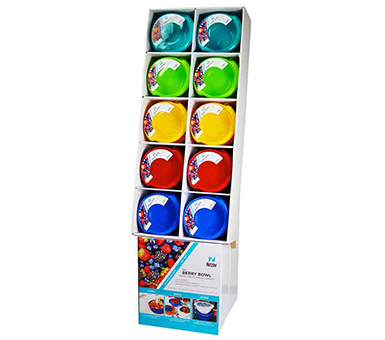 Lid for the refrigerator stores fruits at an ideal constant vapor pressure, helping them to last longer. Ideal for strawberries, raspberries, blueberries, grapes. Material: ABS and polypropylene. BPA-free.